Marsha, thanks so much for the v and f!! Thank you so much, Charles. 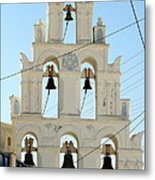 I wish I'd had the opportunity to see and hear them rung, but I surely loved seeing them adding their quintessential Greek charm to the coastal hillside towns on Mykonos and Santorini. 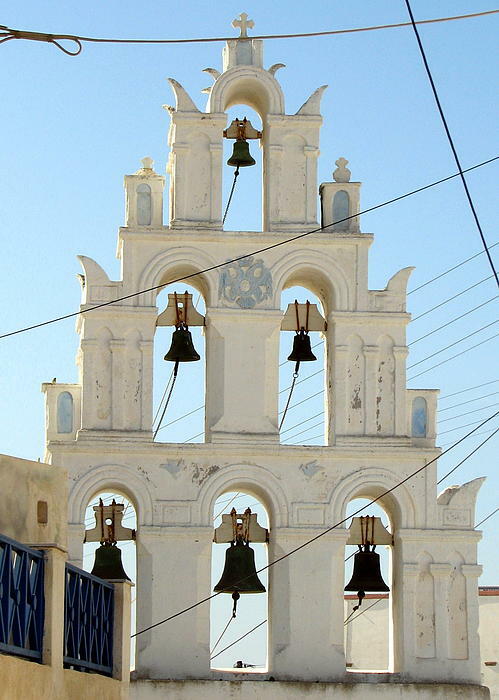 GREEK CHURCH BELLS is a digital photograph by Carla Parris. 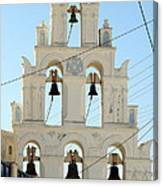 This church bell tower features six bells, each of which is hanging in its own arched alcove. The tower is white, with touches of pale blue. 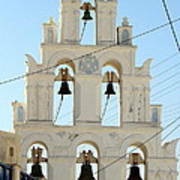 This image was captured in the spectacularly beautiful Greek Island of Santorini.